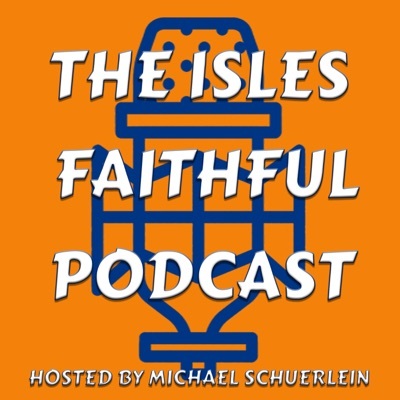 This post was published 10 years 1 month 17 days ago which may make its content inapplicable to the current Islanders roster and/or team news. This site is not responsible for any misunderstanding. Relax folks, there is no Huntergate – just received word that Islanders forward Trent Hunter is out with a lower leg injury. You would be amazed at how many people stop by the Blog Box asking for information. After Saturday, who could blame them? Jon Sim, rockin’ the trade deadline value baby. I texted Tom Liodice that I have a man crush on MacAmmond. Him and Sim are quite the duo. As long as you don’t exceed your quota of man-crushes, I guess that’s okay. man crush???. Dude that just sounds wrong. Why would you have a man crush on 2 bums?? Because they scored a couple of points??. Come on bro MacAmmond = Lack of results! P.S = don’t be fooled just cause MacAmmond scored a couple of goals. Want to know why I like mean Dean? The guy does not appear to be his age both in presence and on the ice. The player can skate and skates very well. He was all over the ice last night and has been effective in every zone and every situation. In a season where we are questioning which veterans are going to return – why not give MacAmmond a chance? With the loss of Sillinger in the faceoff circle, he even fills a void there. MacAmmond couldn’t have scored the rest of the season and I would still feel the same way about his play on either side of the puck. He is doing what a true grizzled veteran centerman should – and that is excel. First Off, To answer your stupid question. I do play hockey, probably better than you. Second, Why am i not giving MacAmmond a chance??? Because he’s not a top tier player. I’m tried on rooting for all these bums that come along the way to play on the Islanders for about 1-2 months, then are never heard of again. Seriously, I find it insulting that fans like you seem comfortable with losing and cheering for losers. Mike, just cause some old dog had it’s day doesn’t mean i’m gonna keep him around with the pure breeds. Anyone who does is asking for disaster. No need to get defensive – it was a simple question that lacked any ulterior motive or meaning. I value your opinion, regardless of how different they may be from mine. It’s only discussion and that’s the whole point of doing what I am doing here. I never said I was comfortable with losing, I actually hate it. However, comparing this “rebuild” to anything this team has gone through in the past is completely different and we are finally doing things right. Is it going perfect? Absolutely not! In order to continue going forward the teams needs guys like MacAmmond around to fill specific roles – that is all I am saying. I know what you mean man. Sorry about getting defensive. I just feel like my head is spinning on this whole Guerin thing. We should should have a beer at the game some time. I’m even on Blue Point Brewery’s ice hockey team! Free beer after every game! So much for whatever calories burned. No big deal about earlier. Free Bluepoint after ever game!?!?!?!?!?!?! I can honestly say you have it made..Dude if you ever need a netminder…I’m your man.